ASSA ABLOY Test Lab welcomes testing accreditation for the latest updates to industry standards. UKAS has updated the ASSA ABLOY Test Labs accreditation schedule to include the latest PAS 24:2012 standards and new issue of EN12320. This update enables the independent facility to test to the latest industry standards that will be crucial for its customers to remain competitive and relevant for a variety of specifications. 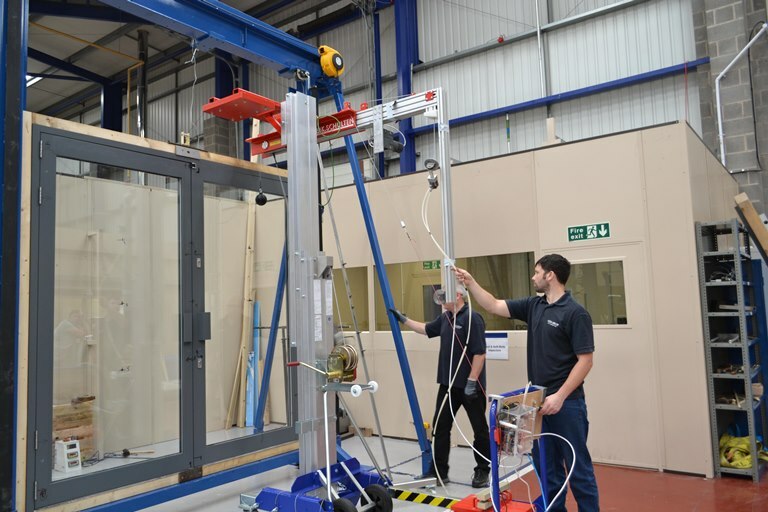 The updates to PAS24: 2012, which have been running in parallel to the old issue since August 2012, will see the lab now offer testing for enhanced security performance requirements for external doorsets and windows on a variety of dwellings and applications. In addition the lab is also able to test to the new issue of EN12320, which provides best practice guidelines for padlocks and padlock fittings. Ian Bridge, Chief Engineer at the ASSA ABLOY Test Lab, said: Thanks to our active involvement in the standards committees we are often amongst the first to be able to offer testing for the latest revisions and stipulations. The smallest of changes in a standards requirements can significantly impact on the testing procedures, it is therefore important that we stay ahead of the game, continually adapting our rigs and methods to suit the industry needs.